Diligently replicating the tropes employed by countless romantic comedies – from third act contrivances to thinly-drawn friends that exist only as sounding boards – They Came Together is both a merciless parody of the genre’s well-worn conventions and an affectionate homage to them. 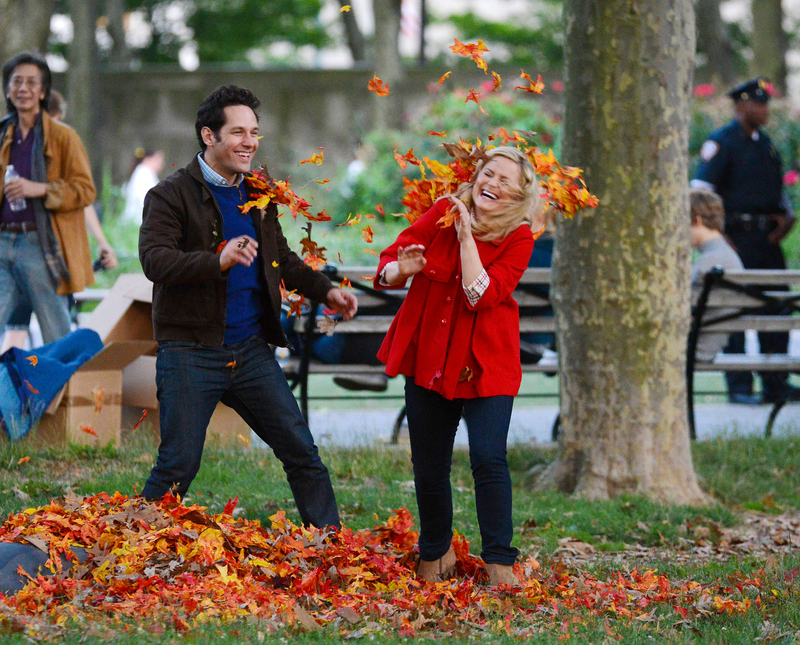 Starring Amy Poehler as Molly, the “cute, klutzy girl that sometimes will drive you a little bit crazy but you can’t help but fall in love with”, and Paul Rudd as Joel, who’s “handsome but in a non-threatening way” and “vaguely but not overtly Jewish”, the film shares its absurdist tone with the other work of director and co-writer David Wain, which includes Wet Hot American Summer and seminal sketch show The State. Ahead of its upcoming release in cinemas and on VOD we spoke to David about the film’s long gestation and why he thinks romantic comedies hold an enduring appeal. You co-wrote They Came Together with Michael Showalter in 2002. What stopped it getting made a decade ago? Originally we wrote it for a big studio as a more straightforward spoof that was in vogue at the time, more like Scary Movie, but the studio’s thinking was that the audience for those kinds of movies and the people who are interested in the romantic comedy genre don’t generally overlap. They were probably right: it wouldn’t have been a great studio project at that time. So I’m happier with the way we made it now, more in our own voice. It seems to makes sense in this configuration: it’s a smaller movie, and it’s come at a time when the audience is more caught up to the people involved and our sense of humour. Is it freeing to make something for a lower budget, or does it bring other challenges? I tend to err on the side of saying it’s more freeing because of the different stakes. For better or worse, Michael and I had the ability to make the movie we wanted to make, which I think is the only way it could have worked. Unless you happen to fall into a situation where a studio really understands your work and wants to protect it, the normal development and oversight process is creatively very hard on comedy that’s from a specific point of view. Also in the history of my work I’ve found that often the lower the budget is the more fun and satisfying the experience can be. Of course it’s challenging to shoot so fast and have such limited resources but necessity is the mother of invention too. Do you find it difficult to translate your comedic voice to a film that’s larger or more mainstream? One of the things I’ve tried to do to varying degrees of success is layer the things I like about my own sensibility into different projects that have different overall goals. Role Models is probably the best example, where I came on board a very mainstream comedy movie at a big studio and attempted with my collaborators Ken Marino and Paul Rudd to create something that served what was needed for that – not to fight against what a big studio movie is but instead introduce things that we thought were funny and of a piece with our other work, so those two worlds would be married in a harmonious way rather than working against each other. Is the actual production experience of making a studio film like Role Models significantly different? Oh yes, of course. Role Models started as a work-for-hire, and I was thrown to the sharks. I’d done two movies before that which were very low budget and independent, and suddenly I was working with a far bigger budget and having producers and a studio and movie stars involved. With all that said, I learned in the first few days that it’s still the same game: how do we tell a story? How do we make it funny? How do we make it true to ourselves? They Came Together picks apart romantic comedies but it seems that to make a film like this you’d have to have a genuine passion for the genre too. Do you? I have a huge passion for them. Romantic comedies are among my favourite films. Michael Showalter and I have been friends since we were 18 years old and we bonded over talking about romantic comedies and the ones we love. Truthfully, even the ones that are not that great we love too. There’s just something that’s comforting and wonderful about the rom-com formula that we all grew up with and Mike and I have real nostalgia and love for it. Along with that comes having fun pointing out the tropes. My feeling about They Came Together is that it isn’t saying that romantic comedies are stupid, it’s saying the opposite. They’re worthy of being made fun of. The formula works even as it’s being deconstructed: you can’t help being a little swept up in Molly and Joel’s romance. Exactly. In a way if there’s any investment in these characters that’s a true testament to the genre formula. We are doing our best to undercut it at every single moment but still the chemistry and charisma of our two leads and the basic tent poles of the formula still overrides that to some degree. 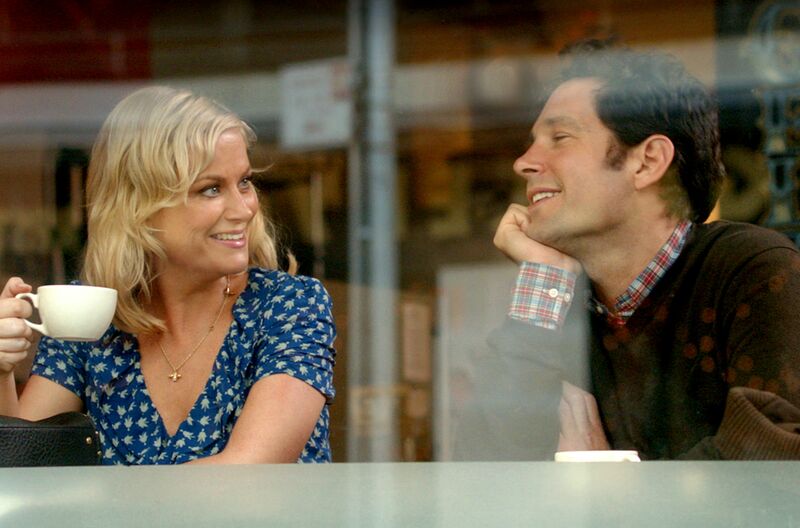 What would you say is the most egregious romantic comedy trope for you? Well there are so many. From top to bottom there are requisite situations in romantic comedies that don’t bear any resemblance to most people’s real lives. One of the most bizarre ones to me is the larger narrative structure of these comedies: more often than not the boy and girl are really in love and things fall apart based on a single event that is often very simplistic, and then the reason they make up is even more simplistic – one goes up to the other one and says the right thing at the right moment and all is forgiven. It grossly simplifies and romanticises the real nature of relationships, which I think is exactly why we love those movies. They avoid the complexity and frustration and messiness of actual relationships. About midway through the film there’s a memorable scene where Paul Rudd and a bartender start repeating their dialogue, and it keeps going and going and going. How did you decide how long to let that last for? It’s sort of like everything we do: you just follow your instinct. We definitely screened the movie a lot, in many ways to many differently sized audiences throughout a long editing process. Screenings can be misleading because every audience is different and it doesn’t necessarily reflect the truth of what’s going on in the movie, but over the course of the process we landed an idea of exactly how many repeats to have where the audience would laugh, stop laughing, be annoyed and then start laughing again. Can test audiences be useful or do you find them a hindrance? I think as long as you’re in control of how that information is used they can be very helpful. It’s important not to take them as read. You have to filter audience reactions through your own gut and your own gut has to veto where necessary. Certainly if the audience explodes with laughter every time then it’s probably something that’s working, but I’ve seen a million examples where an audience is as silent as crickets at a certain joke and I’ve known that it’s not the joke that’s the problem, it’s the set-up or just the fact that the movie was too boring for the ten minutes before. There are so many moving parts that the audience is not aware of, and so it becomes a problem when you start asking them questions and doing focus groups and taking their notes. It’s a dangerous thing to entrust the direction of your editorial process to random people that walked into a shopping mall.